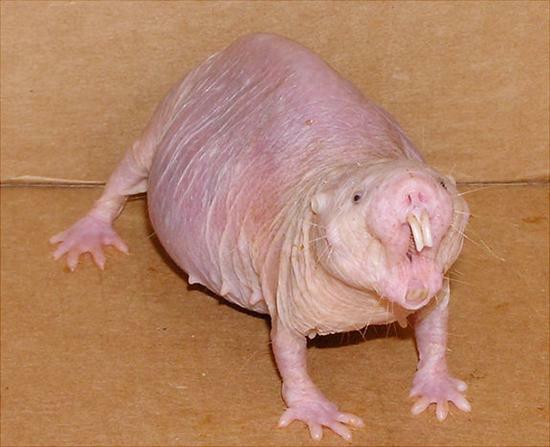 Presenting the ugliest animals in the world. We’re brought up to respect and like all species of animals, weather they’re cute or not, but some animals are simply so ugly, that the mere sight of them makes us prepare to run in the opposite direction. Recently, a new species of bats has been discovered and it’s now certain: the Leaf-nosed Bat is the ugliest animal in the world! Meeting this hideous creature face-to-face would most definitely give you nightmares, especially cause the vast majority of bats are nocturnal animals. 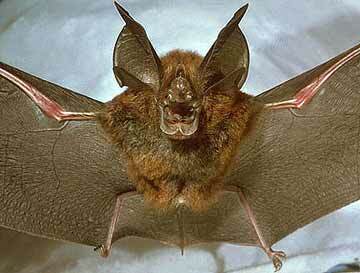 This grotesque animal has a deformed nose, which apparently helps it with its echolocation. When the scientists first spotted this weird animal back in 2008, in Chu Mom Ray National Park, they mistook it for a similar species, named the great leaf-nosed bat, but upon further investigations, the team of researchers managed to capture and compare the two species. When in captivity, the great leaf-nosed bat turns very aggressive, while Griffin’s leaf-nosed bat behaved quite docile and gentle. It was then when they realized that they were dealing with a new species of bats. The team also recorded the sonar frequencies and took tissue samples from a few specimens, the results were stunning. The bat’s oddly shaped nose allows it to emit signals at a different frequency than other bats, and scientists believe that their “calls” are more effective and powerfull all thanks to the feature that makes this amazing animal, the ugliest on the planet. Genetic analysis confirmed that this ugly bat is indeed a never-before noted species and hence, it was dubbed Hipposideros griffini, named after the late Donald Redfield Griffin, a professor at Rockefeller University in New York who studied echolocation. So, now that we’ve cleared what animal currently holds the spot for the world’s ugliest animal, let’s have a look at some of out planet’s ugliest animals… you wouldn’t want them as pets, but some of them are actually quite friendly. This horrific looking animal was found in China, and it was immediately dubbed a Yeti. It looks like a hairless bear, but it has a kangaroo tail and made the noises of a cat in distress. This animal has visible wounds on its hairless skin and scientists believe it may just be a sick normal animal, rather than a new species, which was never before discovered. Horseshoe bats include over 130 species and they all have this ugly leaf-like protuberances on their noses which they use for echolocation. This ugly bird is the largest terrestrial bird on the American continent. They have a lifespan of 60 years, but they have also been known to reach ages such as 80. The grown-up Aardvark is actually quite a cute animal, but its offsprings are just creepy, hairless and extremely repulsive… it’s hard to believe that they grow up looking do good.